So I have been working an extra 5 hours a day earlier this week, so I have been super busy... PLUS we have been working on a top secret new weather stuff. We have started some new stuff on-air, but a LOT more will be coming soon. So yesterday was my first 8 hour day this week. Which means more time with my sweetheart. Be sure to stay tuned for us to roll out some pretty epic weather graphics soon! So I bought two more trees. 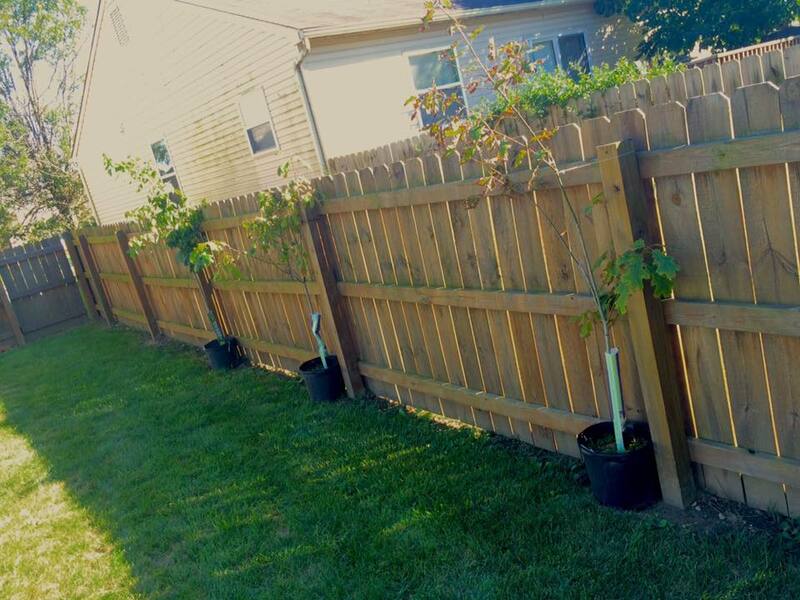 Both are oaks and I BELIEVE both are red oaks to compliment my new red maple. The oaks were on sale for 75% off at Meijer, so I am NOT going to pass up the chance for a $6.24 tree! So yesterday I started digging away the huge mound of dirt around the old tree that I cut down and hauled away. It was a LOT more dirt than I was expecting, but that was fine... more on that shortly. 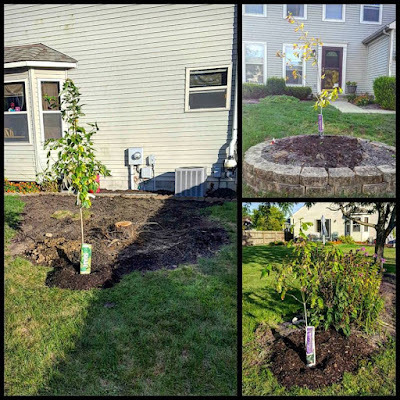 The roots were a pain, but I was able to use the hose to squirt away most of the dirt between the roots to get it back to near level with the ground. I will have to grind it down the rest of the way. So... I moved the dirt to low spots around the yard. 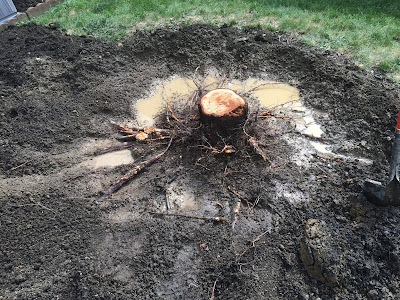 A tree was removed from the back of the yard and a hole was left before we moved in, so I leveled that ankle sprain out. The back of the house also had about an 8" dip where the dirt had settled over the last 20 years. So that mound was PERFECT. 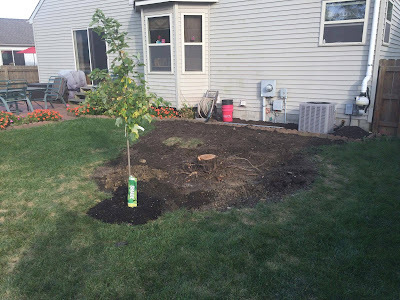 I then planted an oak tree out front then the maple tree near the trunk that needs to be removed, then the final oak tree in the back of the yard. I am pretty stoked for some "good" trees instead of the smaller weaker trees. Here is another look at the spot where I moved all the dirt to the low spot by the house. Those pavers would have been buried about 6-8" deep. So I raised them and going to let it settle a little with the weekend rain before planting any grass seed. 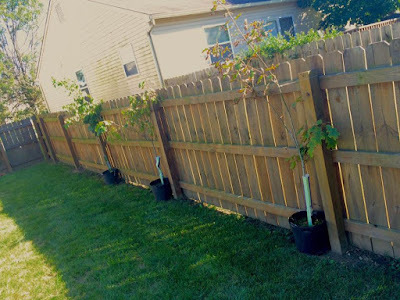 I also need to stake the trees too. Oh... and grind down the trunk. We have a fantastic Friday on the way! Early sun with a few more clouds later with temps back in the low to mid 80s and humidity increasing later. 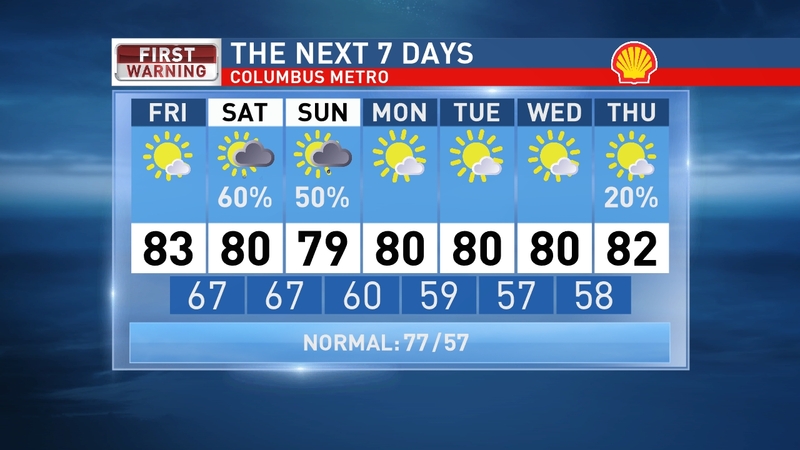 Tonight a few showers and storms will start moving into Central Ohio. Scattered showers and storms for Saturday and isolated showers and storms on Sunday. Severe weather is not likely. 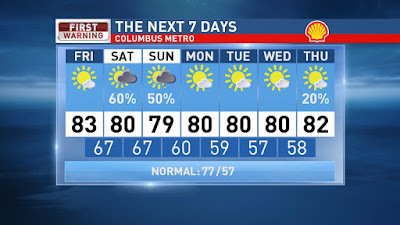 Dry weather returns next week with highs staying near 80 the rest of the extended forecast. Have a good one!